Get Christian counseling no matter where you live! If you aren’t located near our offices in Charlotte or Asheville, North Carolina, we can still help no matter where you live in the world! We offer live online counseling for Christians via online services, such as Skype and Zoom. You will need a computer, tablet or phone that supports live video. Some wonder if online counseling is as personal as sitting in an office with someone. The answer is “Yes” according to all have have tried it. To request the online counseling, call 704-522-9026 or contact us via email. Note: We also offer live access online for many of our events. If you don’t live near our offices but would like to attend a conference or our training, consider our online option. Click here for details on our upcoming events. Call our main office phone number at 704-522-9026 or contact us via email to setup a consultation. Regular counseling sessions online are 50 minutes in length. At times, double sessions may be scheduled to deal with certain issues (with your approval). 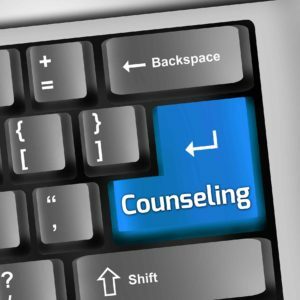 Our Christian counseling services start with an initial consultation. Individual and marital counseling sessions are offered on a sliding monetary scale based on income. Call our main office phone number at 704-522-9026 or contact us via email for the details. Contact us today to request your online counseling consultation at 704-522-9026 or contact us via email.